Has your business considered installing panic bars recently? Also known as “push bars” these spring-loaded horizontal levers on outwardly opening doors and double doors permit rapid departure from a building during an emergency. Occupants don’t need to wait for someone to locate the correct key to open the lock. Instead, they can exit quickly simply by pushing the panic bars. When you require a skilled local locksmith to install this safety device correctly in your building, simply call Pflugerville Locksmith Pros. 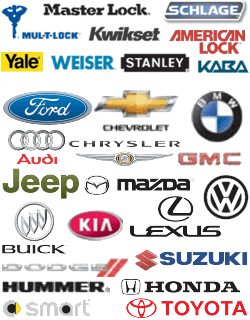 We maintain a full-service automotive, residential and commercial locksmith company. Our expert technicians work throughout the entire Pflugerville area and surrounding communities. We possess familiarity with this part of Central Texas. Call us whenever you require a commercial locksmith who will respond rapidly to your request for locksmith services! When you ask for assistance, we’ll dispatch an expert team of locksmiths to perform work at your location. We furnish reliable 24-hour services. As more people relocate to this part of Central Texas, businesses have begun appreciating the importance of panic bars as safety devices. By enabling people to leave a locked facility rapidly, these important door opening levers help prevent injuries caused by crowds pushing or shoving towards an exit. Today you’ll discover push bars in churches, schools, hospitals, long-term care facilities, retail shops, grocery stores, office buildings, cinemas, and athletic facilities. Most hotels and apartment complexes add them to exterior doors, too. 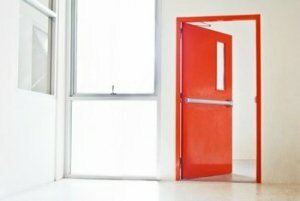 As a proprietor of a business, you may gain greater peace of mind knowing your patrons can rapidly exit the premises during situations such as a fire emergency. We offer complete locksmith services in Pflugerville Texas. You can ask us to perform a full range of automotive, residential or commercial locksmithing services, including panic bar installation or repair. We can even help you upgrade the appearance of these important safety devices, to achieve the decor style you prefer in your building. We’ll also troubleshoot commercial security systems, assist with accidental lockouts, repair malfunctioning automatic door closers, or install magnetic locks. We hope you’ll designate us as your preferred local locksmith in this community! Don’t hesitate to get in touch with our mobile service whenever you require the skills of a capable, honest locksmith. Our technicians will travel to your site within half an hour, or less, at any hour of the day of night. Count on Pflugerville Locksmith Pros! Once a tiny farming village, today Pflugerville has become a thriving suburb of Austin, Texas. Our city expanded in size very rapidly during the 1990s. Pflugerville has even provided TV and movie locations for nationally broadcast productions. In 2006, NBC filmed a television series here, for instance. The crew of Friday Night Lights reportedly worked in both Pflugerville and Austin to shoot scenes for the drama. Panic Bars https://pflugerville-locksmith.co/commercial/panic-bars/ 3.9/5 based upon 44 reviews.